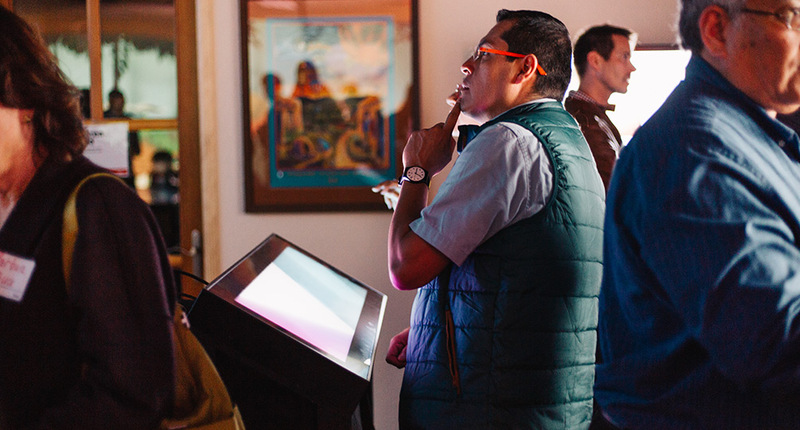 Ideum opened its doors for a Fall 2016 Studio Party on Tuesday, October 25th. If you would like to be invited to a future Studio Party at Ideum, please contact us. Over 100 guests came to our second Studio Party this year, held on October 25th. 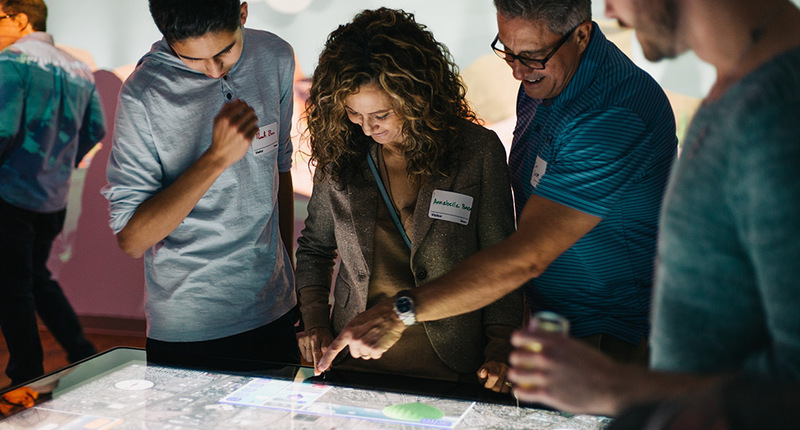 Ideum has been busy since April–we have worked on local hot air balloon interactives for this year’s International Albuquerque Balloon Fiesta and the Balloon Museum, among other exciting projects. 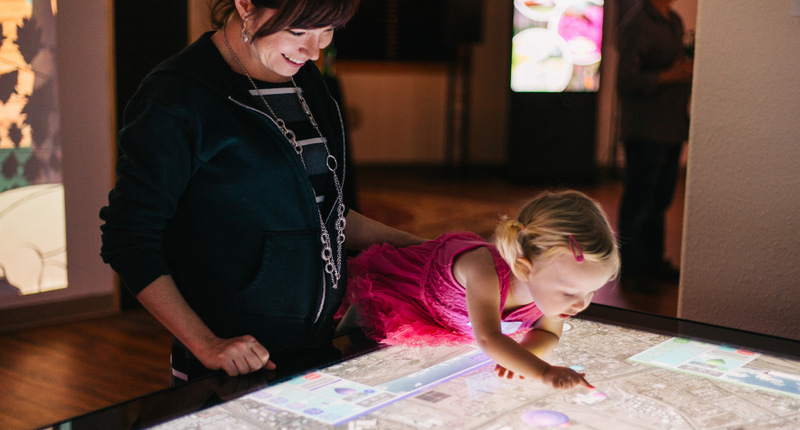 These large-scale Creative Services projects will showcase Ideum’s expertise in creating custom immersive and engaging exhibits built with specially-sourced hardware and our custom software. Ideum’s elves have also been busy developing a suite of holiday themed applications that will appear in 16 different malls very soon, which were also previewed at this event. Visitors also toured our production space and our nearly complete Industrial Design space–stay tuned for updates as the new space should be finished soon! If you would like to be invited to a future Studio Party at Ideum, please contact us so we can add you to our mailing list!